The Hobsonville Point Farmers Market (cnr Hastings Road and Buckley Avenue) is housed in a converted ex airforce supply shed (Shed No.5). There is plenty of parking nearby, and the joy of having an indoor market is evident in the last few weekends with the (welcomed) intermittent rain. Although the market is opened on both days of the weekend, I prefer to visit on Sunday when there are more stallholders, and the place hums with activity. There is something about this market which just strikes all the right notes. The stallholders are so convivial and the place has a perceptible community vibe. It’s a good size; you can spend 15mins here and get everything you need, or you can make it a destination and meander for a while, stop for a bite and a coffee, and laze in the landscaped gardens. Good bread is one of life’s simple pleasures. I relish my creamy avocado mash on a slice of sourdough bread for weekday breakfasts; and cheesy scrambled eggs on seeded toast is my idea of weekend comfort food. One of my first tasks on moving up to Auckland was to hunt down a European bakery serving up flavoursome crusty bread. I found it in Paris Berlin Organic Bakery, tucked into a suburban street in Ellerslie. This is my idea of bakery. A quaint neighbourhood place, where if you arrive early enough, you can watch the baker pull out trays of just baked pastries. Paris Berlin, which opened its doors in June 2010, makes honest, organic French-German breads, pastries, buns and cakes. Ellerslie isn’t technically my backyard, but a 15-min drive is a small price to pay for some of the best organic sourdough bread in Auckland. Owner Isabel Pasch is passionate about producing authentic European breads, and it shows. Paris Berlin prides itself of using only certified organic flours, seeds, fruits and nuts, and their breads are naturally leavened. No additives, preservatives, or artificial enhancers are used, resulting in the breads which are full of natural flavours, with beautiful textures and colour. Isabel is happy to talk about her bakery, she said I could ask her anything; I jumped at the chance. Isabel sources NZ Demeter rye flour from Chantal Organics in Napier, who get it milled it to her specifications. When white spelt flour was unavailable due to the floods in Queensland, Isabel asked her customers if they wanted to wait for organic flour to become available again or have breads made from conventional spelt flour. With the blessing of their customers, Paris Berlin used conventional spelt flour for 4 weeks. I love that on top of the personal contact, Isabel also communicates with her customers through a regular newsletter and Facebook. City Market is the brainchild of two forces in the food scene in Wellington, Rachel Taulelei (Yellow Brick Road) and Martin Bosley (award-winning chef of the eponymously named restaurant), situated within the Chaffers Dock Building on the waterfront, behind the farmers market. It was on the list for a wander before I had to return to Auckland later that afternoon. City Market is opened on Sundays from 8:30am – 12:30pm, perfect for anyone with an early morning craving for a bacon buttie cooked by the maestro himself. 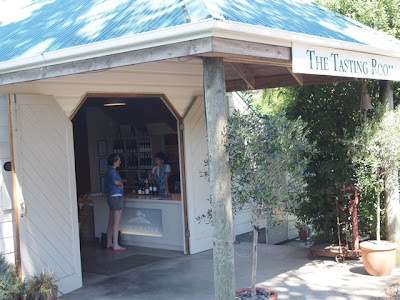 The New Zealand Food Bloggers Association’s inaugural conference took place at The Tasting Shed in Kumeu on the 12th November. 26 food bloggers from around NZ came together under the auspice of Alli Pirrie-Mawer (peasepudding.wordpress.com) to mull over food, writing, photography, and commentary over what makes us pursue this time-consuming, sanity-sapping, low-paying (and that’s for the lucky few who actually derive an income from this) craft. 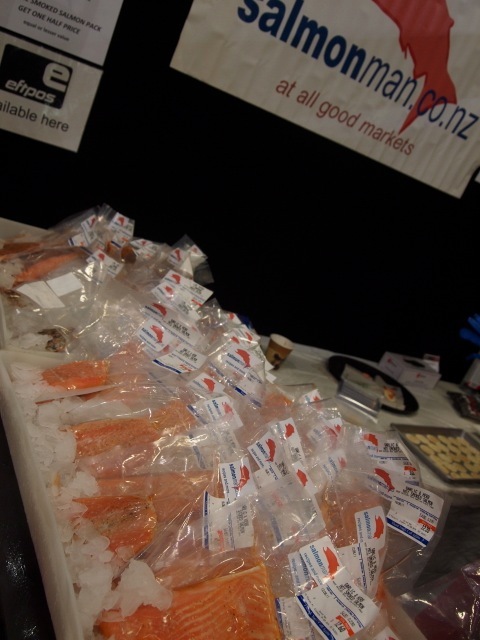 The annual Auckland Food Show (28 – 31 August 2011) is a foodie-in-training’s little paradise. For the $25 ticket price (or $22.50 if you purchase online and bypass the queues), you get an invite (along with over 50,000 others!) to a world of new products, flavours and tips on how to expand your culinary horizons by over 450 exhibitors. There are multiple tastings at every stall, and some of the more popular ones had crowds of eager punters. I love that the artisan producers are out in force, and the gourmet food markets (Farro Fresh and Nosh) are supporting them to exhibit. This year I made the trip with Mum and Little Z who asked to come along on our expedition. Little Z was a trooper, and impressed us with his palate, – he refused processed cheese (specially packaged for children) and meats, and asked for seconds of salmon gremolata and gourmet frozen yoghurt. I don’t recall being this ‘evolved’ at 4 ½ years old! Being a teetotaler (completely due to my allergy to alcohol I assure you, not by choice), I merrily skipped past all the wine and alcoholic beverage producers (of which there were many) to the gourmet confectioners, seafood, meats, non-alcoholic beverages (to my happy surprise, there were many as well, – is my fantasy of Kiwiland becoming un-boozy coming true? ), frozen desserts and condiments galore. 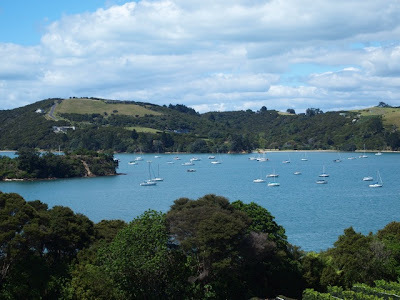 We decided to chance the weather and drive up to Paihia on the weekend. On the way, we stopped by Orewa for brunch. Orewa is a little seaside town and a retirement destination, with its waterfront apartments and pedestrian mall. My previous two jaunts into Orewa for food had not ended well, so I was more than a little apprehensive. However, we chanced upon Oliver’s Café (340 Hibiscus Coast Highway, Orewa) with its cheerful yellow sign. The place was packed, a good sign, plus the food in the display cabinet looked fresh and very appetizing. I have finally found my Orewa pit stop, – the flat white is great (comes with a small piece of nutty, fudgy brownie) and the potato cakes are made with shredded potato, fantastic! 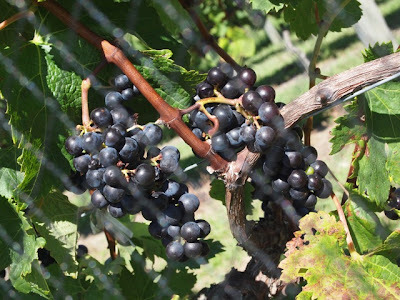 Goldwater Estate is an esteemed winery which pioneered winemaking on Waiheke Island in 1978, and is still one of its leading winemakers with vintages commanding top dollars. As a non-drinker, my impressions of Goldwater Estate is based on the stunning views across Putiki Bay from its vantage point. 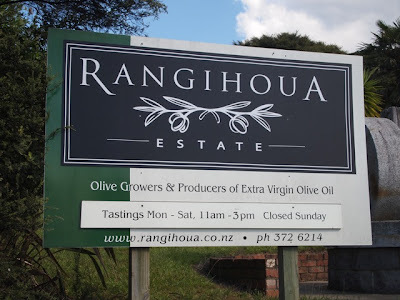 Rangihoua Estate is a award-winning boutique olive oil producer on Waiheke Island, which is situated a 40 minute ferry ride from downtown Auckland. 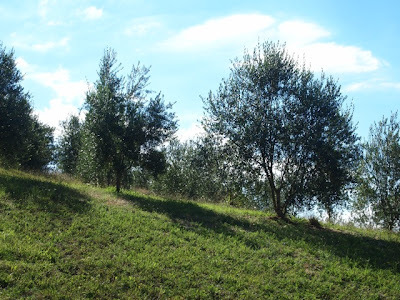 They have around 3,500 trees on site, and press their own oil. Anne Stanimiroff, the owner, took us through the process of producing the oils and described the differences between the blends that they produce.